St. Norbert College has named Amanda Leonhard-Perry as its next women’s basketball coach on Thursday. 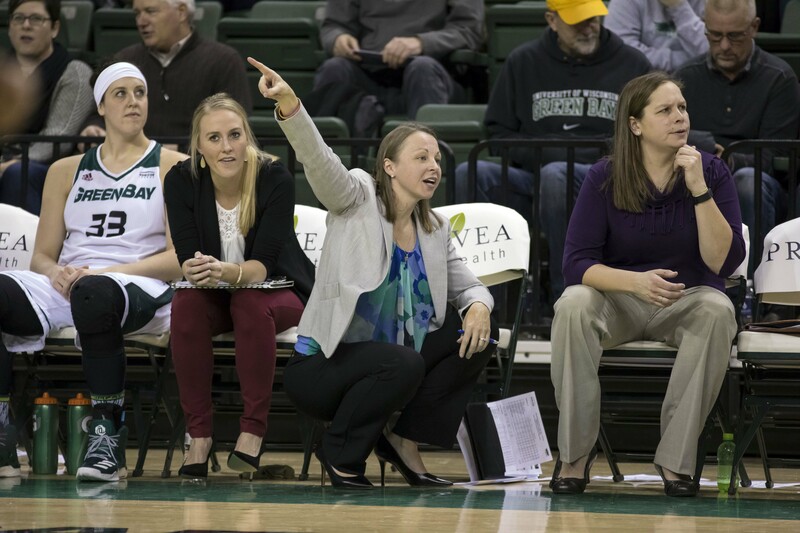 Leonhard-Perry has spent the last 11 seasons as an assistant coach at the highly successful NCAA Division I program at UW-Green Bay. She has helped the Phoenix to 10 regular-season Horizon League titles, eight conference tournament championships, nine NCAA Tournament appearances and two trips to the WNIT. During those 11 seasons, Green Bay went 333-62, with a winning percentage of .843. Leonhard-Perry succeeds Connie Tilley, who is retiring after 42 years at the helm of the women’s basketball program. 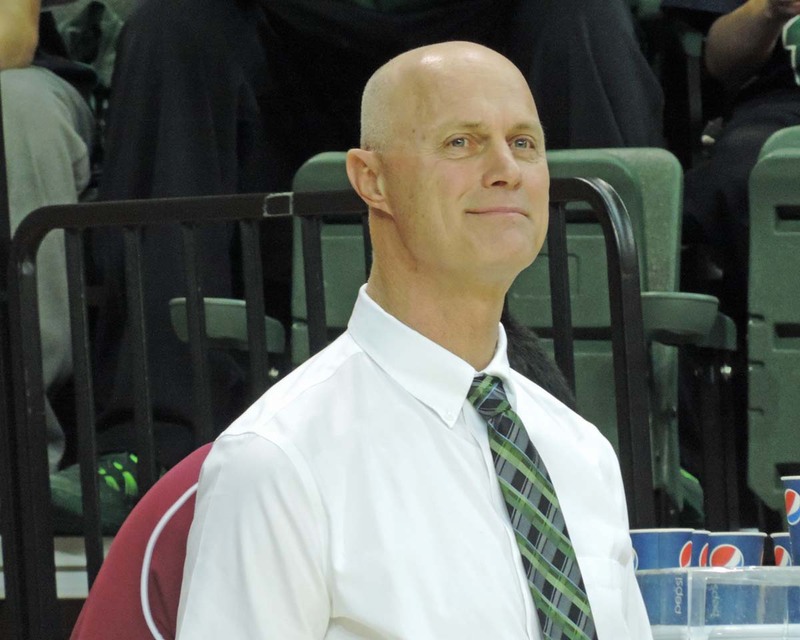 Green Bay Phoenix women’s basketball coach Kevin Borseth reached a coaching milestone, winning his 700th career game. 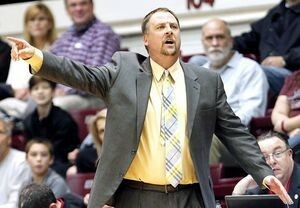 The Phoenix knocked off Youngstown State 60-42 as Borseth became the 29th coach in NCAA history to reach the milestone. 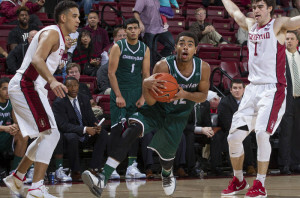 The Phoenix (9-6, 4-1) held YSU (12-5, 4-2) to less than 10 points in multiple quarters. Seniors Jen Wellnitz and Laken James scored 17 points apiece and combined for 10 steals. Kohler native Madison Wolf had 10 points and 12 rebounds for the first double-double of her career. Green Bay travels to Detroit on Thursday followed by a trip to Oakland on Saturday. 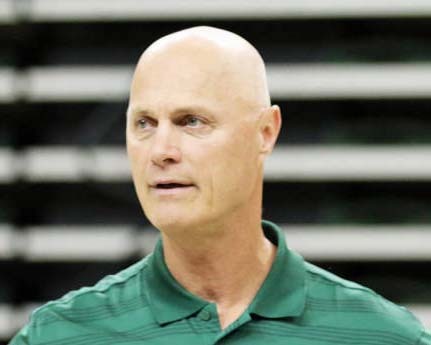 Green Bay Phoenix women’s basketball coach Kevin Borseth has agreed to a contract extension with the school through the 2024-25 season on Monday. Borseth, who recently led the Phoenix to its 19th-consecutive Horizon League title and the program’s 17th NCAA Tournament appearance last season, is in his 15th season overall at Green Bay and owns a winning percentage of .798 with the Phoenix. He is 213-24 (.899) all-time in Horizon League play. This season, Green Bay has piled up an impressive 23-3 record and is currently ranked in the Top 25 in both the Associated Press and USA Today polls. Borseth has led GB to a 13-2 record in Horizon League play thus far, and is now two wins away from securing at least a share of the program’s 20th-straight Horizon League Regular Season Championship this season. Borseth owns a career coaching record of 685-264, approaching the 700 career wins milestone. he has coached a total of 31 years, including 15 years for Green Bay where he has amassed an impressive record of 373-94. He has garnered Horizon League Coach of the Year honors in eight of his 14 seasons at Green Bay and will look to secure yet another No. 1 seed at Motor City Madness in Detroit. For the 10th-consecutive year, the Green Bay Phoenix women’s basketball team will enter the season as the Horizon League preseason favorite. Green Bay is fresh off its 19th-straight Horizon League Regular-Season Championship. Head coach Kevin Borseth’s Phoenix squad received 21 of the 25 first-place votes in the poll and accumulated 246 points to lead the nearest school by 42 (Wright State). Senior Jessica Lindstrom was selected to the preseason first-team after averaging 13.1 points and a team-high 9.8 rebounds a game last season. Lindstrom received second team honors last season, as well as all-defensive team recognition back-to-back seasons. The Superior native was named Horizon League Tournament MVP after scoring 15 points and grabbing nine rebounds in the championship game. Fellow senior Allie LeClaire was named to the all-league second team after averaging 11.0 points a game and a team-best 3.8 assists per game. The Green Bay, Wis., native was also the 35th player in program history to surpass the 1,000-point mark for Green Bay, doing so last season. Green Bay will face UW-Whitewater in an exhibition on Thursday, October 26 (7 p.m.). For the ninth-straight year, the Green Bay Phoenix women’s basketball team will enter the season as the Horizon League preseason favorite, as announced by the league office during its media day event on Wednesday. Coach Kevin Borseth’s team received 29 of the 30 first-place votes in the poll and accumulating 299 points to lead the nearest school (Detroit Mercy) by 46. The Phoenix return four of five starters from a year ago. Green Bay’s defense ranked ninth in the country last year, allowing 48.6 ppg in league play and 52.2 ppg overall. The Horizon League released its preseason poll and honors on Thursday morning. The Green Bay Phoenix landed senior Charles Cooper on the All-League First Team and were picked to finish third in the Horizon League preseason poll. 2015-16 regular season champion Valparaiso was selected to repeat as champions, followed by Oakland and Green Bay. UIC was picked fourth and Wright State fifth. The second five consist of Detroit Mercy, Northern Kentucky, Cleveland State, Youngstown State and Milwaukee. Valparaiso’s Alec Peters is the Preseason Player of the Year. Cooper started all 36 games for the Phoenix last season, finishing second on the team in scoring and rebounding at 13.6 ppg and 5.5 rebounds per game. In Green Bay, senior guard Carrington Love led five Green Bay Phoenix scorers in double figures by putting up 39 points in a 107-90 win over Youngstown State on Saturday. The Phoenix trailed by 18 points at one point in the game, but they dominated the second half. Love scored 25 of his 39 after intermission, hitting a career-high eight 3-pointers. The Phoenix improved to 17-11, including 9-6 in Horizon League play. The Milwaukee Panthers had a 52-18 lead at halftime and went on to blowout Cleveland State 88-54 in Milwaukee. 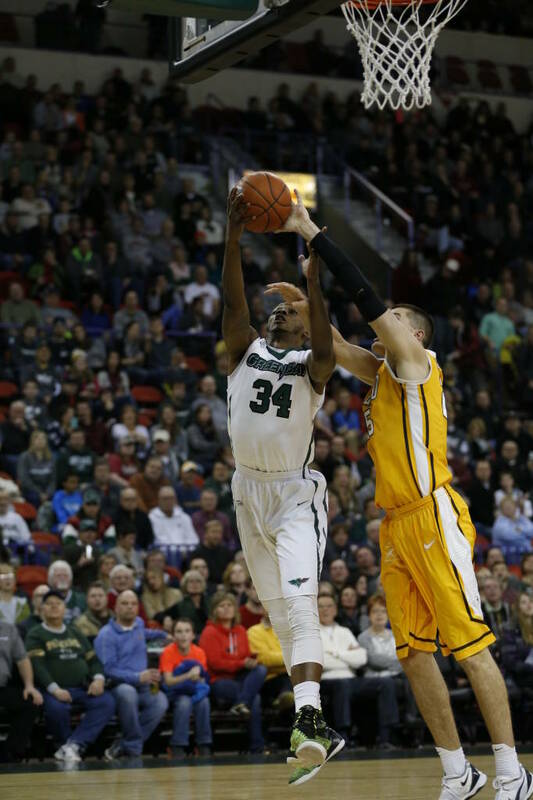 The Green Bay Phoenix had just played five-straight road games and ten of their last 12 away from the Resch Center, and the Milwaukee Panthers were wrapping up a five-game road trip, facing their rivals on Monday night. The two teams were clearly road weary and their offense came in spurts. In the end, the Phoenix played the cleaner game and held off the Panthers 70-68 to move into 4th place in the Horizon League, in front of the Panthers. The Phoenix evened the season series with the two games being decided by a total of three points. The UW-Milwaukee Panthers blew an 11-point lead with just under eleven minutes to play and fell to Northern Kentucky 75-71. J.J. Panoske hit a three-pointer to give the Panthers (15-9, 6-5 HL) a 60-49 second half lead. The Norse (9-14, 6-7 HL) outscored the Panthers 26-11 the rest of the way. Panoske had 21 points and eight rebounds to lead the Panthers. Wright State jumped out to a big lead early and went on to beat the Green Bay Phoenix 79-60 at the Nutter Center in Dayton, Ohio on Saturday. The Green Bay Phoenix overcame a bad shooting night at the free throw line to hold off Pacific 93-88 at the Resch Center on Tuesday night. The Phoenix attempted 44 free throws and made just 22 which made the game much closer than it should have been. Green Bay did force the Tigers into a season-high 23 turnovers, which led to 22 points. Both teams shot well from the field. Pacific hit 54.2%, while Green Bay hit 53% from the field. The Phoenix also hit 7 of 17 three pointers. Green Bay senior guard Carrington Love poured in 29 points to lead five players in double figures. Charles Cooper added 15 points, Turner Botz had a career-high 12 and Khalil Small and Jamar Hurdle added ten each. The Phoenix improved to 5-and-4 and now has five wins in the last six games. They’ll host UW-Superior on Sunday afternoon, then face the Badgers in Madison next Wednesday in what will be interim head coach Greg Gard’s first game on the Badgers bench without Bo Ryan.